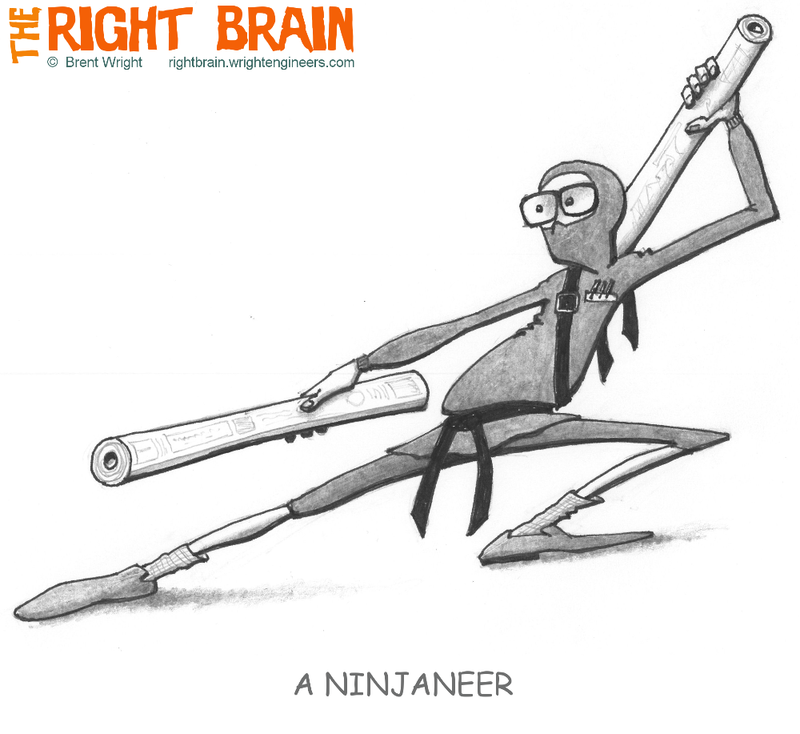 The Right Brain: A "Ninjaneer"
Tye: Cartoon Idea: Sometimes I walk quietly - or come in through a back door - or forget to tell someone when I'm coming or going. We've started calling me a 'ninja-neer'. Seems like it could be adapted for a good cartoon somehow. Me: (with cartoon attached) The fruit of your inspiration. He does sorta look like you. All I know is I wouldn't want to mess with an engineer with serious "plan"-chuck skills.